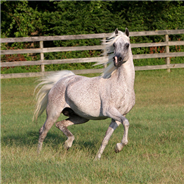 Long-time breeder Garth Buchanan brought her Azraff daughter Rafeymaz to Ferzon. 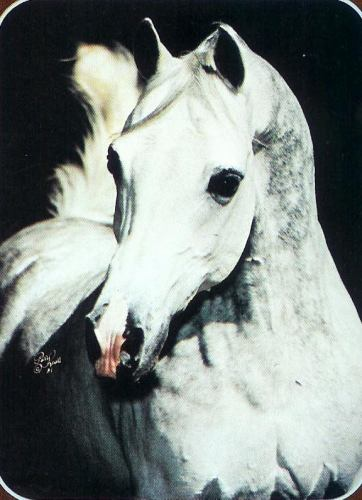 Gainey in turn bred Ga-Rageyma to *Raffles son, Azraff, to produce the beautiful Gai-Louise and a Golden Cross was born. 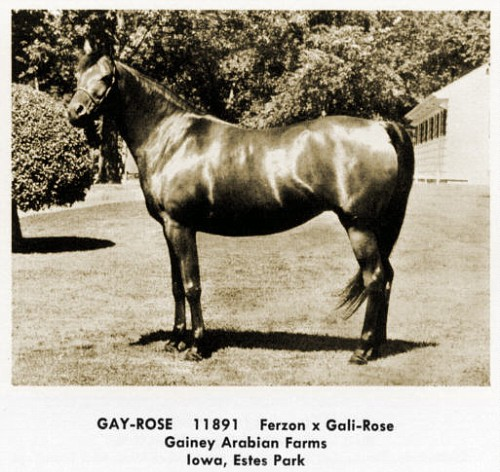 Gay Rose bred to Azraff produced U.S. National Champion Stallion, Galizon; full brother, Gay-Rouge, Canadian Top Ten Stallion and sire of Canadian National Champion Stallion Gai Champion; and full sister Gay Gay Rose, U.S. Top Ten Mare. 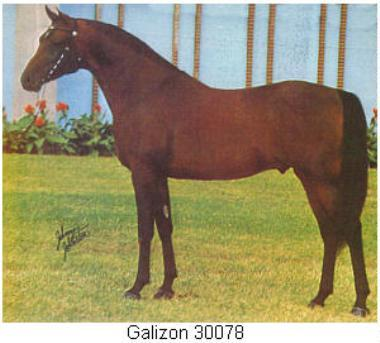 Galizon sired of 1974 U.S. National Champion Mare Jon San Judizon. 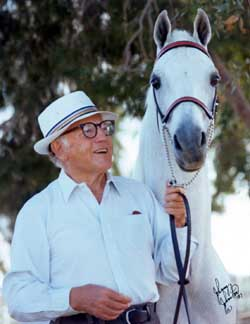 Golden Cross produced such outstanding individuals as Gai Ferzon Louis, Gai Gaspacho (purchased by Count Federico Zichy-Thyssen) and 1977 U.S. National Champion Gai Parada who later replaced his sire Ferzon as premier herd-sire for Gainey Arabians. 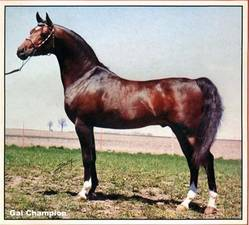 At Dean's suggestion, the *Raffles son Raffi was bred to Ferzon daughter Galatina producing the outstanding broodmare Gaffi. 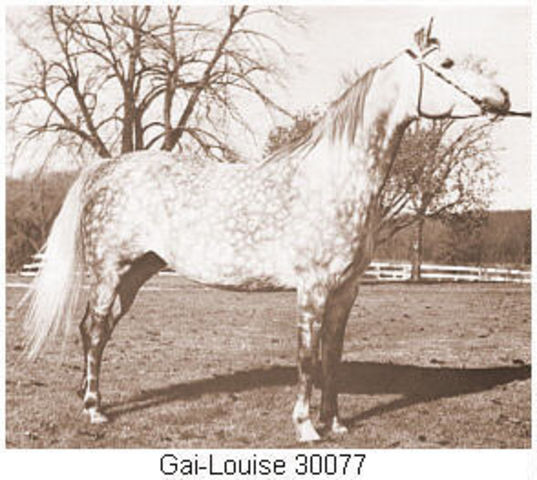 When bred to Gay-Rouge, Gaffi went on to produce the famous Gai Dream. 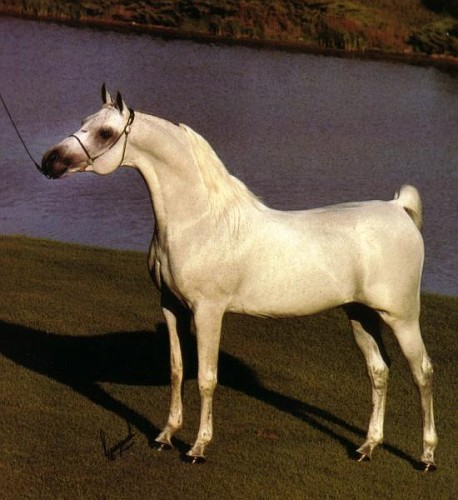 Gai Dream was bred to Ferzon son, BF Rageymazon and produced multi-champion, Dreamazon, and when bred to Bey Shah, Dream produced U.S. and Canadian National Champion Mare, Gaishea. 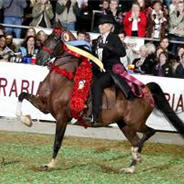 The matriarchal line of Gaffi runs strong in the present day program of Gainey Arabians being the dam line on current herd-sire Gai Monarch, 2001 Canadian National Champion Stallion and U.S. Top Ten Stallion, a son of Ferzon son Gai Parada and Gai Dream daughter, Gaishea. 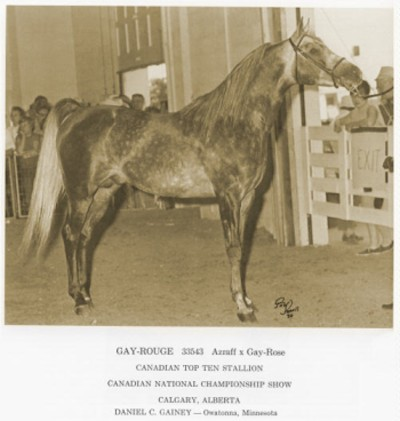 Over six decades have proven the consistency and prepotency of the Gainey breeding program. 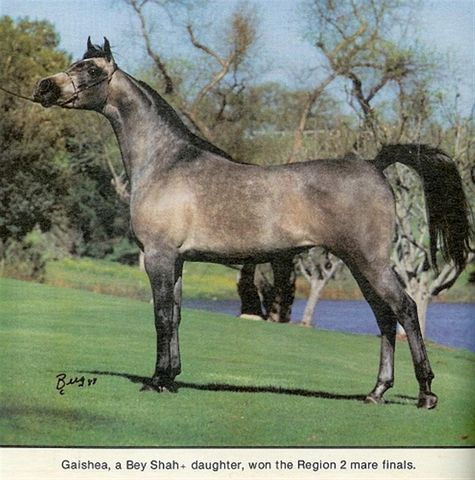 Time after time, using the foundation of the Gainey Arabian, countless breeders have outcrossed successfully building on the strength of one man's vision and dedication. 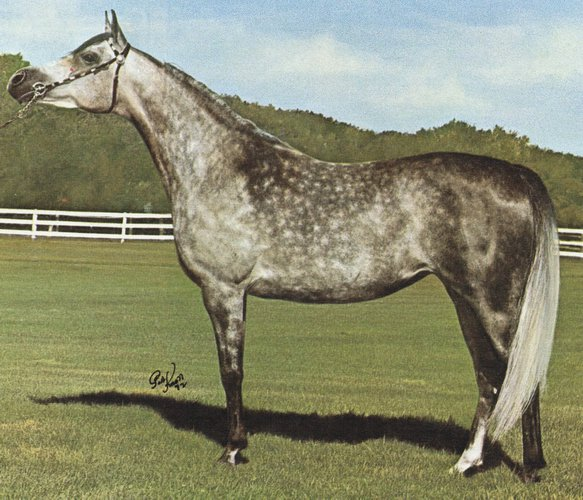 In Jimmie Dean's words: "The most significant thing Dan C. Gainey did for the breed was to leave behind a ranch full of Gainey horses. He established quality and refinement as the Gainey trademark. He fixed a type." Today, we have renewed the dedication to preserving that type while moving forward to improving it as well. 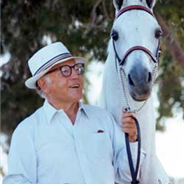 We continue to follow D.C. Gainey's formula in creating strong pedigrees and beautiful horses in our quest for perfection. We seek to be true to the Gainey line as well as to be open to the introduction of lines that will help us move the vision of the Gainey Arabian forward, decade after decade. That willingness to outcross brought us the success of Azraff and Gay-Rouge and Bey Shah in our program and moved the vision forward. We continue to seek. 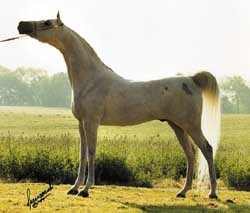 Garth Buchanan brought her Azraff daughter Rafeymaz to Ferzon. 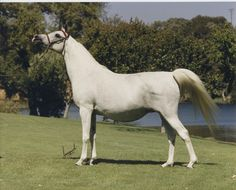 Gainey in turn bred Ga-Rageyma to *Raffles son, Azraff, to produce the beautiful Gai-Louise and a Golden Cross was born. 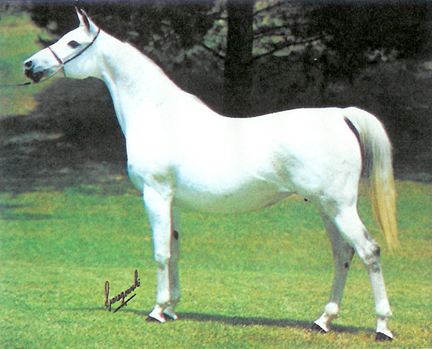 Gaffi went on to produce the famous Gai Dream. 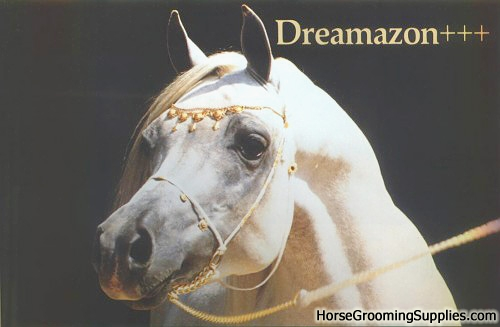 Gai Dream was bred to Ferzon son, BF Rageymazon and produced multi-champion, Dreamazon. 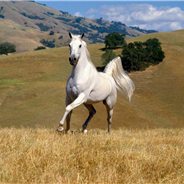 Gaffi runs strong in the present day program of Gainey Arabians being the dam line on current herd-sire Gai Monarch, 2001 Canadian National Champion Stallion and U.S. Top Ten Stallion, a son of Ferzon son Gai Parada and Gai Dream daughter, Gaishea.